Egypt’s Civil Aviation Ministry said in a statement on Thursday it has halted air flights to all Sudanese airports until further notice. The Ministry said it has informed all flight operators with the decision after the recent developments in Sudan and until conducting risk analysis procedures to ensure the safety of operation and obtain official approval before the resumption of flights. 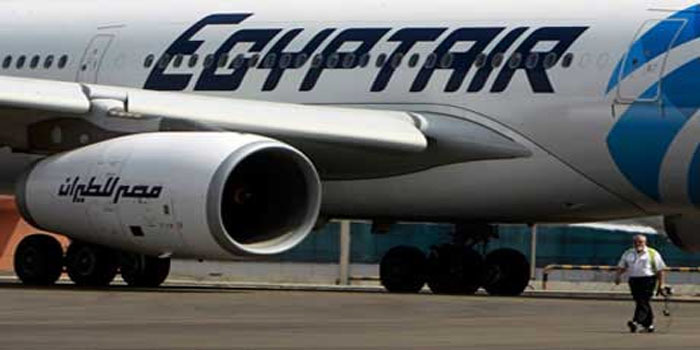 The statement confirmed that the country’s national airline EgyptAir has stopped its flights to Khartoum starting Thursday until further notice, following the Sudanese authorities decision to close airspace on Thursday afternoon. Earlier on Thursday President Omar Al-Bashir, who ruled Sudan for 30 years, was overthrown by the armed forces amid mass protests against his 30-year-old rule. Sudan’s Defence Minister Awad Mohamed Ahmed Ibn Auf said Al-Bashir, 75, was under arrest and in a “safe place,” and that a military council was now running the country. A statement by Egypt’s Foreign Ministry on Thursday said Cairo backs the Sudanese people’s choices in determining the future of their country. “Egypt is following closely and with great concern the current and accelerating developments the brotherly Sudan is passing through at this decisive moment in its modern history…and affirms its full support for the choices of the brotherly Sudanese people and their free will to shape the future of their country,” the foreign ministry said.